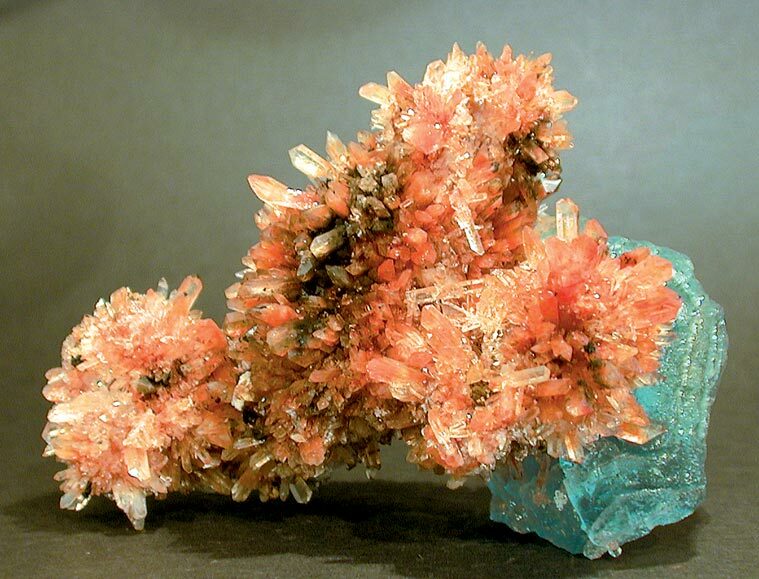 Comments: Well-developed, prismatic, reddish creedite crystals on green fluorite. Location: Mina Navidad, Rodeo, Durango, Mexico. Scale: 9 x 5 x 5.3 cm.